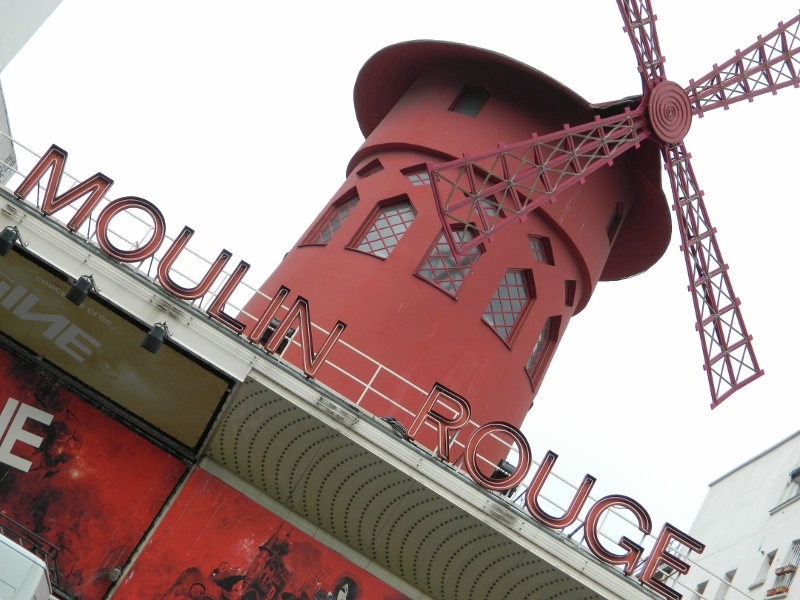 Fans of the movie “Le fabuleux destin d’Amélie Poulain” (or Amélie for short) will know that many of the exterior shots were filmed in Montmartre in the 18th arrondissement. 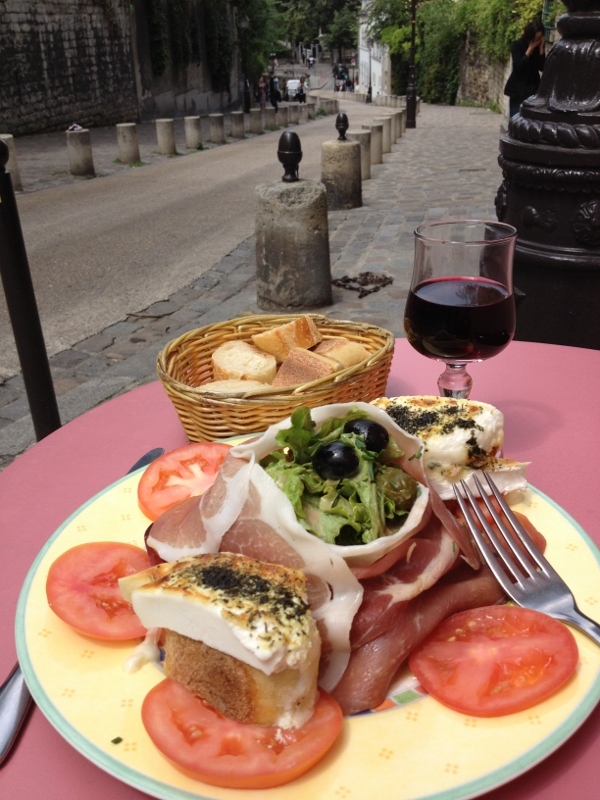 I arrived early on my second day of exploring the village, so apart from the locals I pretty much had the place to myself. 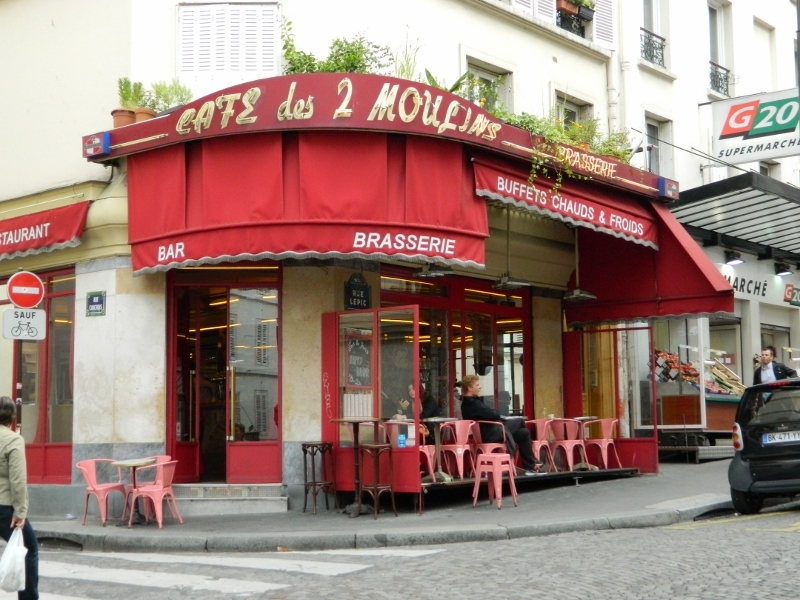 I easily found Amélie’s café Les Deux Moulins, Monsieur Collignon’s greengrocer and her apartment in rue des Trois Frères and then set off to explore the backstreets of Montmartre – movie set, home of the Moulin Rouge and before it became “Bobo” (bourgeois bohemian) and too expensive, home to struggling and successful artists. 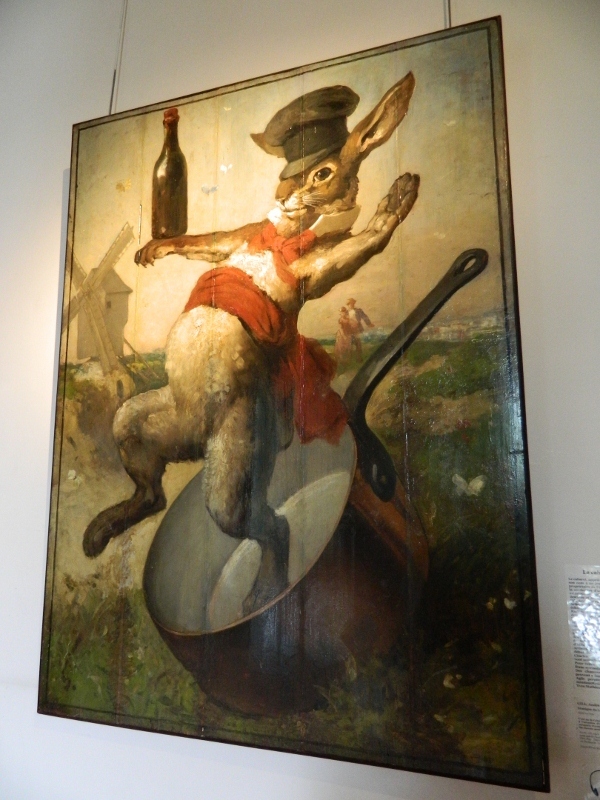 My first stop was the Musee de Montmartre, where for reasons unknown, but possibly due to the 8 Euro entrance fee – I had the museum almost to myself. 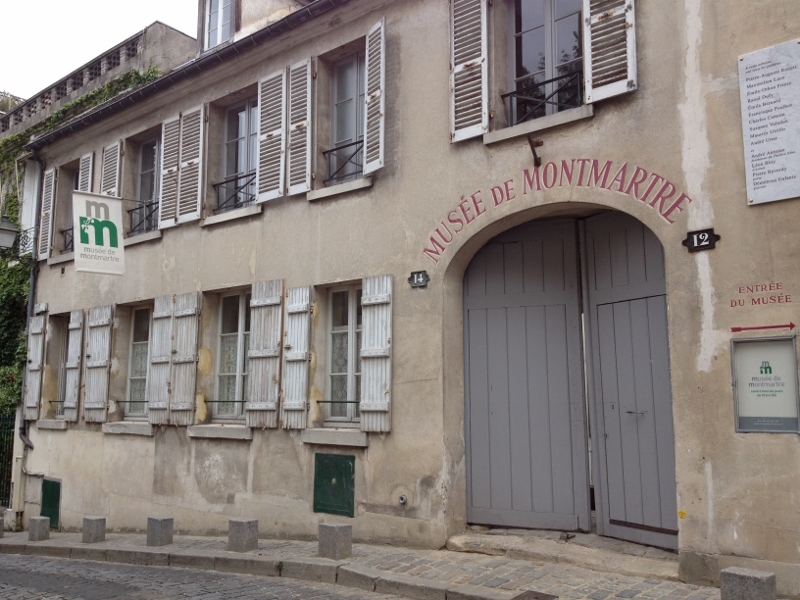 This wonderful museum is built in one of the oldest surviving houses in Montmartre and was home to such artists as Renoir, Raoul Dufy, Suzanne Valadon and her son Maurice Utrillo. 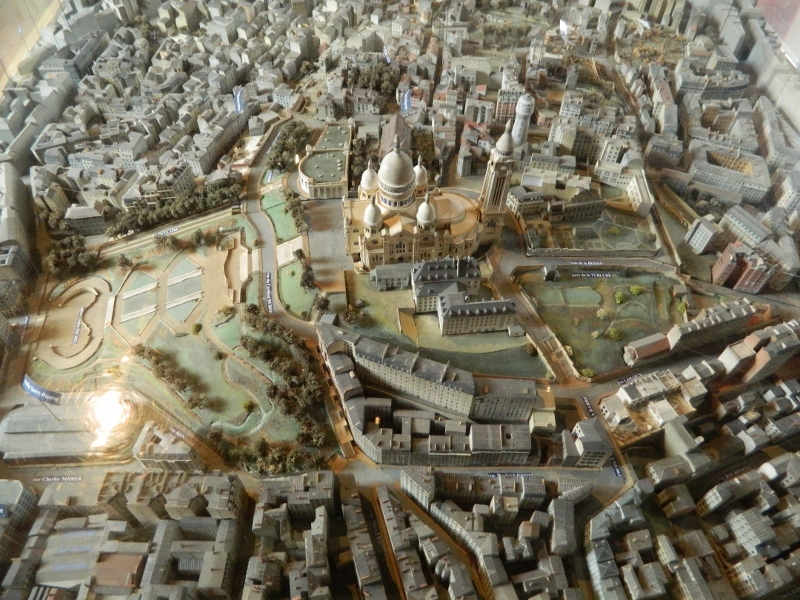 The musueum houses beautiful artworks, historical artifacts and an accurate scale model of Montmartre. 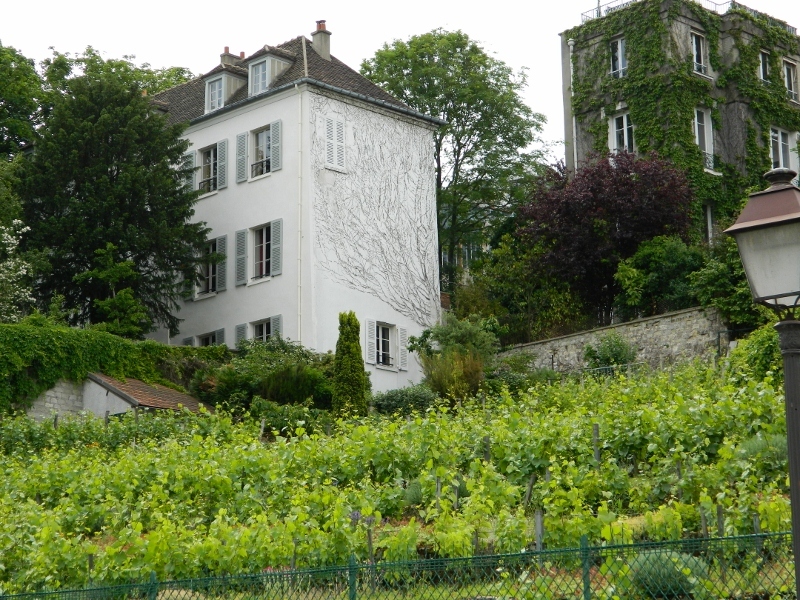 Nearby is Clos Montmartre, the last active vineyard inside the Paris city, and an old cabaret venue named Le Lapin Agile, actually a play on words as the artist who painted the sign was André Gill hence ‘Lapin à Gill’. 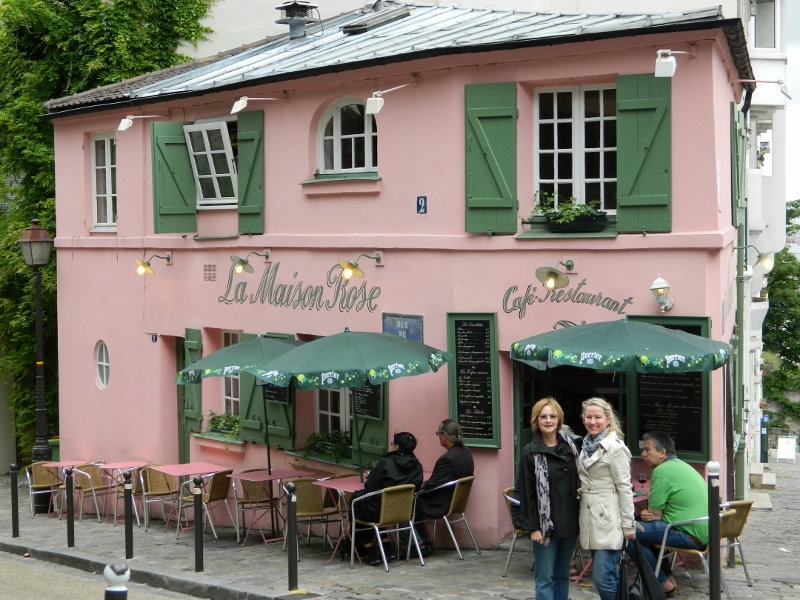 La Maison Rose, is situated in rue de l’Abreuvoir one of the prettiest streets in Montmartre and it’s a lovely spot to lunch – I had a grilled goats cheese salad and a glass of Bordeaux. 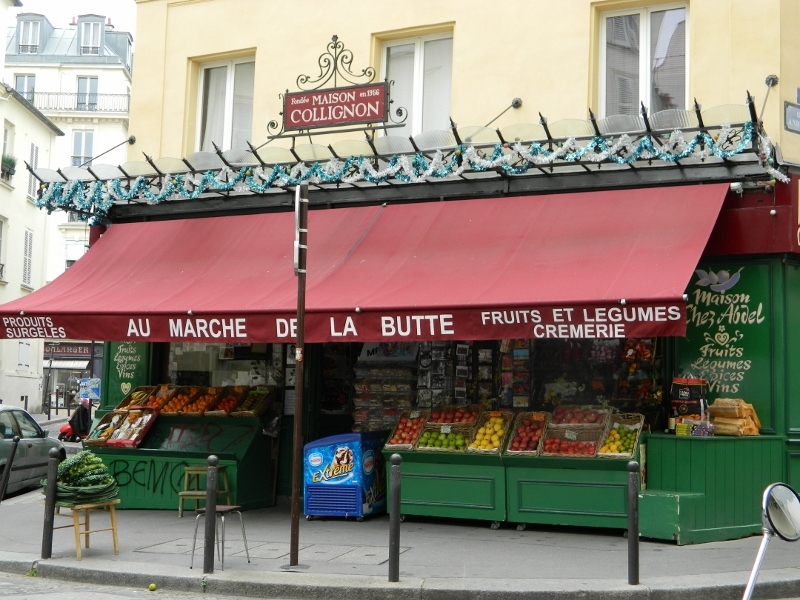 Then I meandered my way down the hill through backstreets until I reached the Lamarck-Caulaincourt Metro Station (another Amélie location) and headed back to my hotel to rest my aching feet.